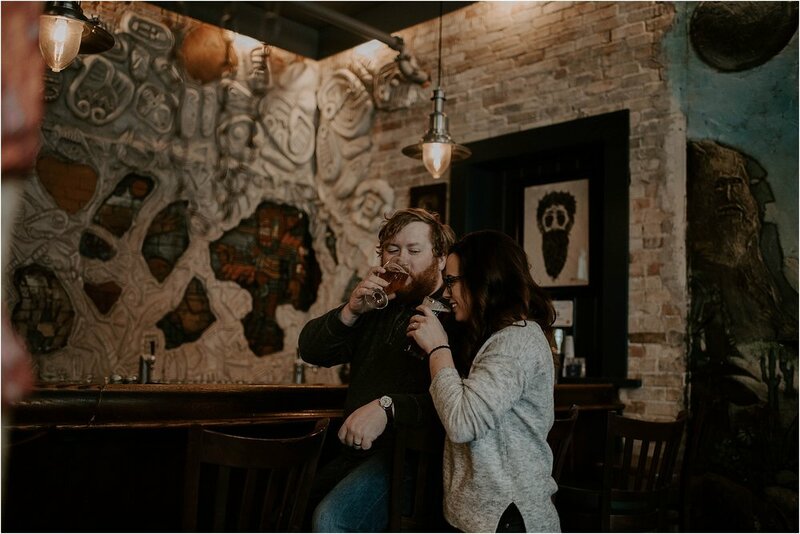 If it’s not already obvious enough, these two have a serious love for beer. RJ is a brewmaster + makes some seriously delicious beer (I got to try one of his reciepes while we were shooting!) and Erin grew up watching/helping her dad home brew. 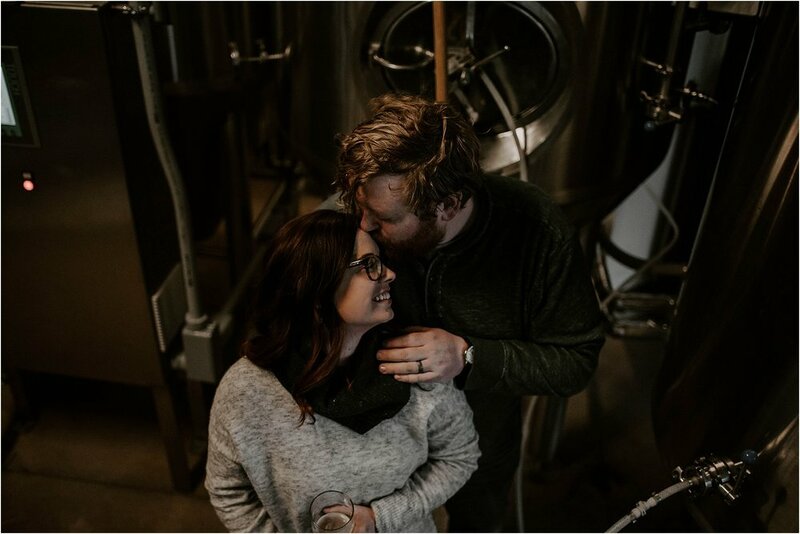 They moved from Wisconsin to Michigan recently so that RJ could pursue his dream of opening a brewery. Erin’s willingness to move to support him really made him feel that she was the one, BUT it was actually Erin beat RJ to it when she proposed to HIM! I just love how Erin + RJ march to the beat of their own drum. They are unapologetically themselves 100% of the time. They are simple, genuine, and they LOOOOVE dogs… (so you know you can trust them! 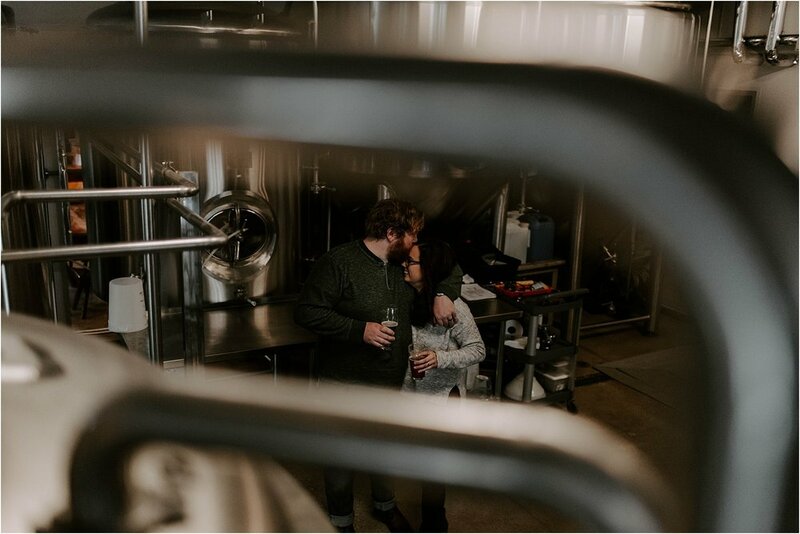 lol) I can’t wait for their big day in the fall - where they’ll be getting married in their OWN brewhouse + I think that is really, really special.